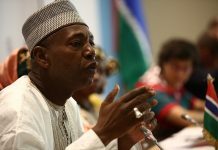 Tijan Touray a UK base Gambian on Wednesday took stage before the Truth Reconciliation and Reparation Commission on a Skype video to give his testimony of the events leading to the 1994 coup. The former Gendarmerie officer who later became the bodyguard to the former President Dawda Jawara told the TRRC that former President Yahya Jammeh behaved like a Bandit adding Jammeh was removed from State House while working there as a member of the State Guard. He added that he believes that Jammeh was removed from State House because of his attitude and indiscipline. 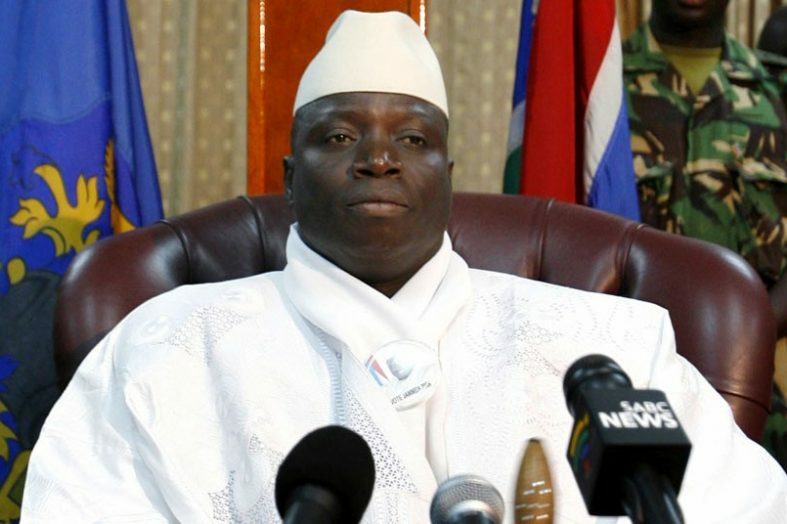 Former President Jammeh’s indiscipline attitudes has become the talk at the commission, as most of the witness describe him as man without discipline. The witness told the TRRC that he was a close body guard to President Jawara and a secret agent attached to the State House by the National Security Services (NSS). He was also a member of the Crack Unit, an elite close protection group at State House. Continuing his testimony before the commission, Touray said he joined the Gendarmerie in 1986 and he was then given the rank of Corporal shortly after his training. Touray said he trained with Retired General Lang Tombong Tamba, Kalipha Manneh, Sadibou Hydara and their badge had 40 recruits. The commander of the Gendarmerie was General Pateh Secka of Senegal and the instructors were Senegalese, adding Secka later became the minister of Interior of Senegal. The witness told the TRRC that weeks before the coup, he travelled with ex-president Jawara to attend AU submit and they came back on the 21st July 1994. He explained that after reaching the State House, Yahya Jammeh and his soldiers who he referred to as rebels, were standing outside the State House discussing with Lang Tombong Tamba, in English and later changed their discussion to Jola. He added Lang Tombong was saying we are all soldiers in order to avoid bloodshed, (let’s allowed them to enter in the State House) he asserted. He said after Lang Tombong Tamba said those words, he left the State House for the seaport but saw the American Naval Ship that President Jawara boarded leaving the port. Touray adduced that the coup makers were not only soldiers because “you cannot identify who are the soldiers or not”. Previous articleIs the Senegambia Bridge Really Completed??? ?